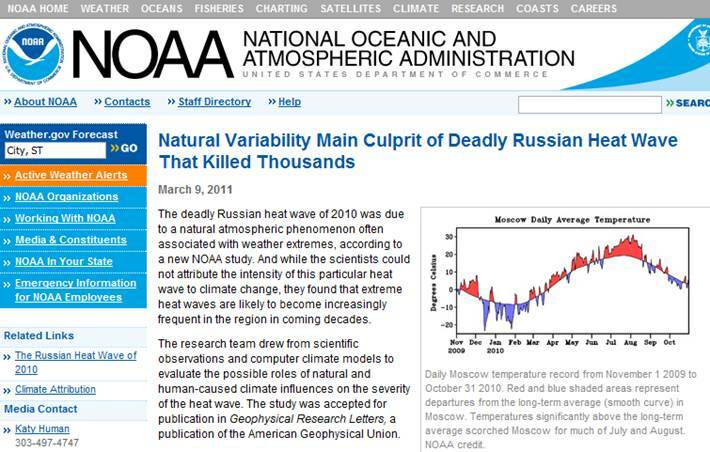 In July 2010, western Russia around the Moscow area suffered an extreme heat wave resulting in many deaths. 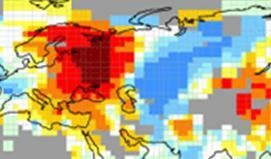 Comparing the July 2010 temperature anomalies shown previously with the July jet stream indicates the position of the Russia heat wave relative to the jet stream blocking. 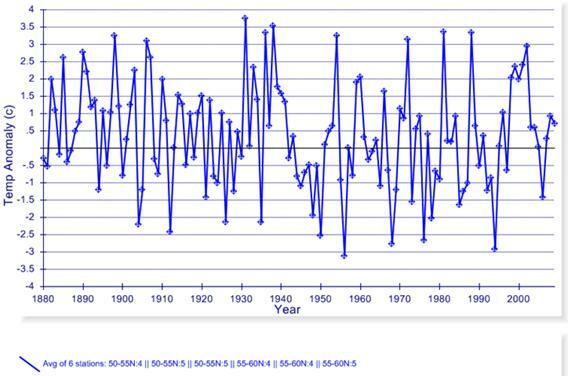 The region’s July temperatures exhibit a 60-year pattern with a cooling trend during the 1890s-1920s, followed by warming in the 1930s, then cooling during the 1940s-1980s, followed by warming in the 1990s. 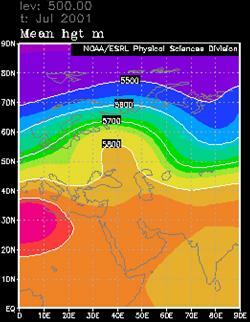 It remains to be seen whether this cooling pattern will repeat in the coming decades. 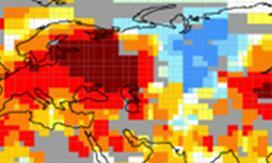 NASA’s GISS provides the capability to plot global temperature anomaly maps for individual months, years or seasons at http://data.giss.nasa.gov/gistemp/maps/. The following figures from that site compare July 2010 (top) with July 1938 (bottom). 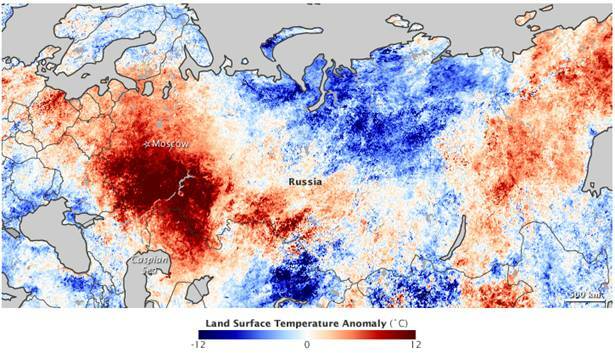 Although the July 2010 heat wave was more widespread in the region, it is similar to the extreme heat waves that have occurred in the past, exhibiting the blocking pattern resulting in simultaneous cooler than normal temperatures in Siberia. The following figure plots the July geopotential height of 500 mb (used to calculate the blocking index) from the NCEP/NCAR data for several individual years and compares them with the July temperature anomalies and blocking history graphs shown previously. 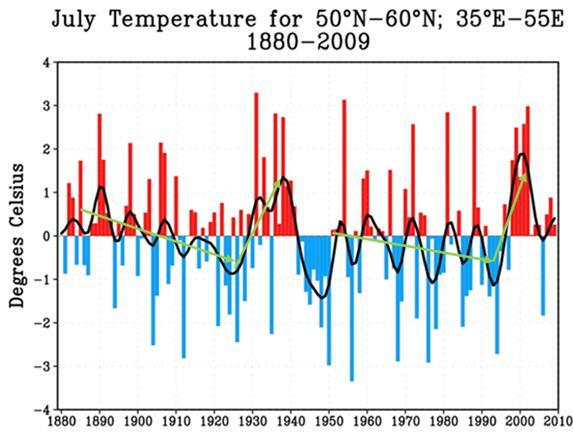 The top two plots show a cold July (1956) and a July with close to zero temperature anomaly (2005). 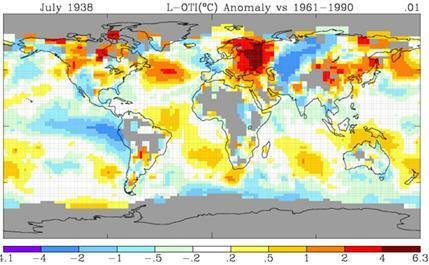 The bottom two plots show examples of the warm anomaly blocking pattern (1972 and 2010). 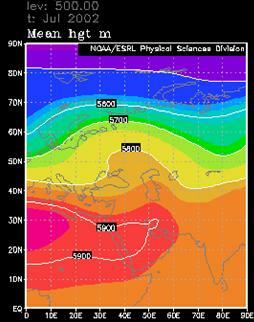 The distinctive jet stream patterns for cold, “normal”, and hot Julys are clearly visible in these plots. 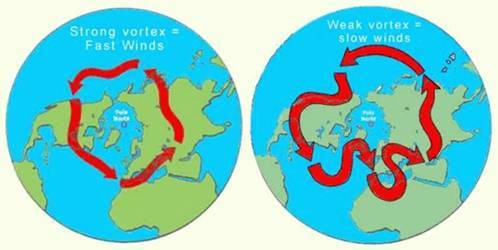 Not every year matches these patterns since there is a lot of variation in climatic phenomena. 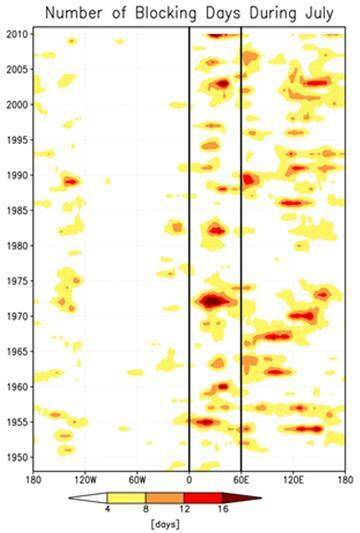 For example, 2001 and 2002 had hot Julys in the region but the blocking did not last for many days (plots shown below). 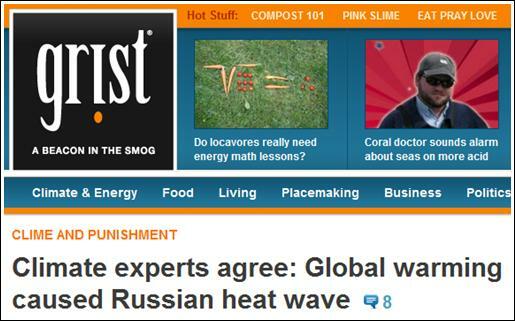 I guess Grist considers NOAA to not be climate experts. 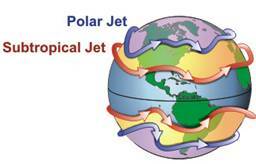 Piers Corbyn, who runs a weather prediction service (http://www.weatheraction.com/) has an interview at rt.com and says the jet stream blocking is based on the sun’s activity modulated by the moon [http://rt.com/Top_News/2010-08-22/corbyn-heatwave-russia-weather.html] “the people who claim it’s global warming are either ignorant or wish to mislead the public for political and financial ends”. Piers Corbyn has a successful weather prediction service based on: “What happens on the sun dictates the circulation patterns of the globe due to a lot of magnetic connections particles from the sun and the moon modulating the impact of those particles.” (quote from above interview). Regarding the global warming alarmists he said: “we’ve got to go back to evidence-based science and evidence-based policy. 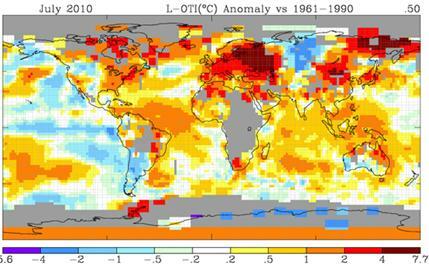 The fact is there’s no evidence for CO2 driving world temperatures or climate”.